Sunlight is the fundamental ingredient for all life forms. Life as we know it would not be possible without the heat and light of the sun. The sun also has an effect on our mood and emotional well-being. Sunlight fuels the mind and the soul. When the sun is shining, spirits are lifted and re-energized. 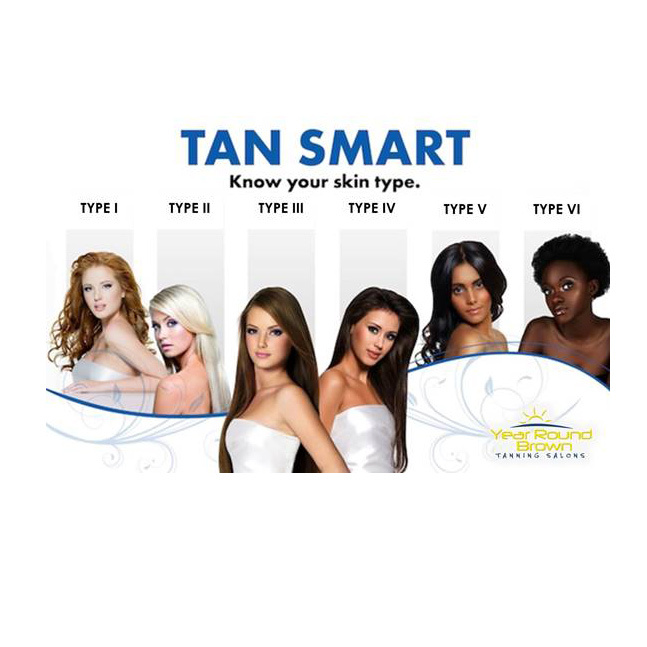 Your Tanning Professionals will help create a customized Personal Tan Plan according to your skin type to help you achieve your tanning goals! Once we have created a customized Personal Tan Plan, your Tanning Professional will suggest the sunbed level and lotions that will work best for you. Visit with our Tanning Professionals about how to tan SMART in our indoor tanning equipment without reddening your skin. What are the benefits of tanning in a sunbed? Sunbeds and Sunbooths are used to build your tan quickly while minimizing the risk of overexposure. Many people believe they look good and feel better when they have a tan. Build a tan safely and slowly and follow your recommended tanning schedule for your Skin Type. Use lotion before and after tanning to maintain healthy skin, and a quality tan. Hydrated skin will hold a better tan! By law, you must use protective eyewear. YRB offers both long-term and temporary eyewear for sale.